The Vistula ( /ˈvɪstjʊlə/ ; Polish : Wisła [ˈvʲiswa] , German : Weichsel [ˈvaɪksl̩] ) is the longest and largest river in Poland and the 9th longest river in Europe, at 1,047 kilometres (651 miles) in length. The drainage basin area of the Vistula is 193,960 km2 (74,890 sq mi), of which 168,868 km2 (65,200 sq mi) lies within Poland (54% of its land area). The remainder is in Belarus, Ukraine and Slovakia. The Vistula rises at Barania Góra in the south of Poland, 1,220 meters (4,000 ft) above sea level in the Silesian Beskids (western part of Carpathian Mountains), where it begins with the White Little Vistula (Biała Wisełka) and the Black Little Vistula (Czarna Wisełka). It then flows over the biggest cities including Kraków, Sandomierz, Warsaw, Płock, Włocławek, Toruń, Bydgoszcz, Świecie, Grudziądz, Tczew and Gdańsk. It empties into the Vistula Lagoon (Zalew Wiślany) or directly into the Gdańsk Bay of the Baltic Sea with a delta and several branches (Leniwka, Przekop, Śmiała Wisła, Martwa Wisła, Nogat and Szkarpawa). Barania Góra is a mountain in southern Poland. At a height of 1,220 metres (4003 feet), it is the second highest mountain in the Silesian Beskids, and the highest in the Polish part of Upper Silesia. Silesian Beskids is one of the Beskids mountain ranges in Outer Western Carpathians in southern Silesian Voivodeship, Poland and the eastern Moravian-Silesian Region, Czech Republic. The Carpathian Mountains or Carpathians are a mountain range system forming an arc roughly 1,500 km (932 mi) long across Central and Eastern Europe, making them the third-longest mountain range in Europe after the Ural Mountains with 2,500 km (1,553 mi) and Scandinavian Mountains with 1,700 km (1,056 mi). The name was first recorded by Pomponius Mela in AD 40 and by Pliny in AD 77 in his Natural History . Mela names the river Vistula (3.33), Pliny uses Vistla (4.81, 4.97, 4.100). The root of the name Vistula is Indo-European *u̯eis- 'to ooze, flow slowly' (cf. Sanskrit अवेषन् (avēṣan) 'they flowed', Old Norse veisa 'slime') and is found in many European rivernames (e.g. Weser, Viesinta). The diminutive endings -ila, -ula, were used in many Indo-European languages, including Latin (see Ursula). In writing about the Vistula River and its peoples, Ptolemy uses the Greek spelling Ouistoula. Other ancient sources spell it Istula. Ammianus Marcellinus refers to the Bisula (Book 22); note the absence of the -t-. Jordanes (Getica 5 & 17) uses Viscla, while the Anglo-Saxon poem Widsith refers to it as the Wistla. 12th-century Polish chronicler Wincenty Kadłubek Latinised the rivername as Vandalus, a form presumably influenced by Lithuanian vanduõ 'water', while Jan Długosz in his Annales seu cronicae incliti regni Poloniae called the Vistula 'white waters' (Alba aqua), perhaps referring to the White Little Vistula (Biała Wisełka): "a nationibus orientalibus Polonis vicinis, ob aquae candorem Alba aqua ... nominatur." "Widsith", also known as The Traveller's Song, is an Old English poem of 143 lines. The poem survives only in the Exeter Book, a manuscript of Old English poetry compiled in the late 10th century containing approximately one-sixth of all surviving Old English poetry. Widsith is located between the poems Vainglory and The Fortunes of Men. Since the donation of the Exeter Book in 1076, it has been housed in Exeter Cathedral in southwest England. The poem is for the most part a survey of the people, kings, and heroes of Europe in the Heroic Age of Northern Europe. Blessed Wincenty Kadłubek was a Polish Roman Catholic prelate and professed Cistercian who served as the Bishop of Kraków from 1208 until his resignation in 1218. He was also a noted historian and prolific writer. His episcopal mission was to reform the diocesan priests to ensure their holiness and sought to invigorate the faithful and cultivate greater participation in ecclesial affairs on their part. Over the course of history the river possessed several names in different languages such as Low German : Wießel, Dutch : Wijsel, Yiddish : ווייסל‎Yiddish pronunciation: [vajsl̩] and Russian : Висла. Silesian Voivodeship, or Silesia Province, German: Woiwodschaft Schlesien, Czech: Slezské vojvodství) is a voivodeship, or province, in southern Poland, centered on the historic region known as Upper Silesia, with Katowice serving as its capital. The river forms a wide delta called the Żuławy Wiślane. The delta currently starts around Biała Góra near Sztum, about 50 km (31 mi) from the mouth, where the river Nogat splits off. The Nogat also starts separately as a river named (on this map  ) Alte Nogat (Old Nogat) south of Marienwerder, but further north it picks up water from a crosslink with the Vistula, and becomes a distributary of the Vistula, flowing away northeast into the Vistula Lagoon (Polish: Zalew Wiślany) with a small delta. 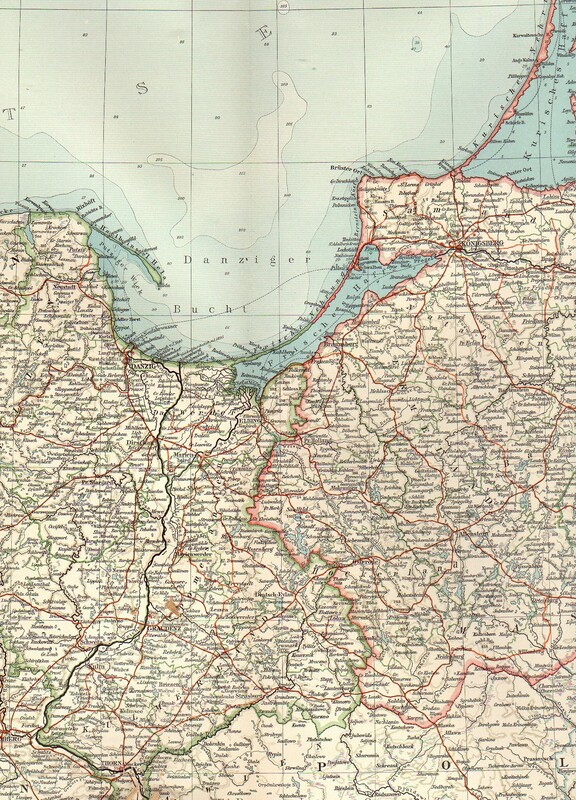 The Nogat formed part of the border between East Prussia and interwar Poland. The other channel of the Vistula below this point is sometimes called the Leniwka. 1840: A flood caused by an ice-jam  formed a shortcut from the Danzig Vistula to the sea (shown as Durchbruch v. J 1840 (Breakthrough of year 1840), on this map  ), a few miles east of and bypassing Danzig, now called the Śmiała Wisła or Wisła Śmiała ("Bold Vistula"). The Vistula channel west of this lost much of its flow and was known thereafter as the Dead Vistula (German: Tote Weichsel; Polish: Martwa Wisła). 1888: A large flood in the Vistula delta  . 1889 to 1895: As a result, to try to stop recurrent flooding on the lower Vistula, the Prussian government constructed an artificial channel about 12 kilometres (7.5 miles) east of Danzig (now named Gdańsk), known as the Vistula Cut (German: Weichseldurchstich; Polish: Przekop Wisły ) (ref map  ) from the old fork of the Danzig and Elbing Vistulas straight north to the Baltic Sea, diverting much of the Vistula's flow. One main purpose was to let the river easily flush floating ice into the sea to avoid ice-jam floods downstream. This is now the main mouth of the Vistula, bypassing Gdańsk; Google Earth shows only a narrow new connection with water-control works with the old westward channel. The name Dead Vistula was extended to mean all of the old channel of the Vistula below this diversion. According to flood studies carried out by Professor Zbigniew Pruszak, who is the co-author of the scientific paper Implications of SLR  and further studies carried out by scientists attending Poland's Final International ASTRA Conference,  and predictions stated by climate scientists at the climate change pre-summit in Copenhagen,  it is highly likely most of the Vistula Delta region (which is below sea level  ) will be flooded due to the sea level rise caused by climate change by 2100. The Vistula is navigable from the Baltic Sea to Bydgoszcz (where the Bydgoszcz Canal joins the river). The Vistula can accommodate modest river vessels of CEMT class II. Farther upstream the river depth lessens. Although a project was undertaken to increase the traffic-carrying capacity of the river upstream of Warsaw by building a number of locks in and around Kraków, this project was not extended further, so that navigability of the Vistula remains limited. The potential of the river would increase considerably if a restoration of the East-West connection via the Narew – Bug – Mukhovets – Pripyat – Dnieper waterways were considered. The shifting economic importance of parts of Europe may make this option more likely. Large parts of the Vistula Basin were occupied by the Iron Age Lusatian and Przeworsk cultures in the first millennium BC. Genetic analysis indicates that there has been an unbroken genetic continuity[ clarification needed ] of the inhabitants over the last 3,500 years. The Vistula Basin along with the lands of the Rhine, Danube, Elbe, and Oder came to be called Magna Germania by Roman authors of the 1st century AD. This does not imply that the inhabitants were "Germanic" in the modern sense of the term; Tacitus, when describing the Venethi, Peucini and Fenni, wrote that he was not sure if he should call them Germans, since they had settlements and they fought on foot, or rather Sarmatians since they have some similar customs to them. Ptolemy, in the 2nd century AD, would describe the Vistula as the border between Germania and Sarmatia. Poland is a part of the global tourism market with constantly increasing number of visitors. 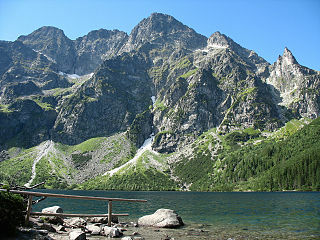 Tourism in Poland contributes to the country's overall economy. The most popular cities are Kraków, Warsaw, Wrocław, Gdańsk, Poznań, Szczecin, Lublin, Toruń, Zakopane, the Salt Mine in Wieliczka and the historic site of Auschwitz – A German nazi concentration camp in Oświęcim. The best recreational destinations include Poland's Masurian Lake District, Baltic Sea coast, Tatra Mountains, Sudetes and Białowieża Forest. Poland's main tourist offers consist of sightseeing within cities and out-of-town historical monuments, business trips, qualified tourism, agrotourism, mountain hiking (trekking) and climbing among others. Sobieszewo Island is an island on the Baltic sea, between the Gdańsk Bay and the delta of Vistula river. The island is part of the territory of the city of Gdańsk, Poland. The Nogat is a 62 km long delta branch of the Vistula River and does not empty at Gdańsk Bay as the main river does. Gdańsk is one of the oldest cities in Poland. Founded by the Polish ruler Mieszko I in the 10th century, the city was for a long time part of Piast state either directly or as a fief. In 1308 the city became part of the Monastic State of the Teutonic Knights until the 15th century. Thereafter it became part of Poland again, although with increasing autonomy. A vital naval city for Polish grain trade it attracted people from all over the European continent. The city was taken over by Prussia during the Second Partition of Poland in 1793 and subsequently lost its importance as a trading port. Briefly becoming a free city during Napoleonic wars, it was again Prussian after Napoleon's defeat, and later became part of the newly created German Empire. 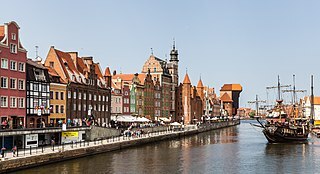 The Martwa Wisła is a river, one of the branches of the Vistula, flowing through the city of Gdańsk in northern Poland. The Vistula Spit is an aeolian sand spit, or peninsular stretch of land, which separates Vistula Lagoon from Gdańsk Bay in the Baltic Sea, with its tip separated from the mainland by the Strait of Baltiysk. The border between Poland and Kaliningrad Oblast, an exclave of Russia, bisects it, politically dividing the spit in half between the two countries. The westernmost point of Russia is located on the Vistula Spit. The Polish part contains a number of tourist resorts, incorporated administratively as the town of Krynica Morska. Drużno is a body of water historically considered a lake in northern Poland on the east side of the Vistula delta, near the city of Elbląg. As it is currently not deep enough to qualify as a lake hydrologically and receives some periodic inflow of sea water from the Vistula Lagoon along the Elbląg River, some suggest that it be termed an estuary reservoir. 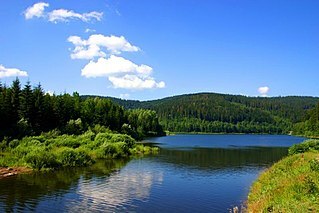 A village of recent origin also called Drużno is situated near the lake. The Battle of Vistula Lagoon was fought on September 15, 1463 between the navy of the Teutonic Order, and the navy of the Prussian Confederation which was allied with the King of Poland, as part of the Thirteen Years' War. The battle was the largest naval battle of the war, and one of the two battles which decided the final outcome of the war. The Castle of the Teutonic Order in Malbork is a 13th-century Teutonic castle and fortress located near the town of Malbork, Poland. It is the largest castle in the world measured by land area and a UNESCO World Heritage Site. Żuławy Wiślane is the alluvial delta area of Vistula, in the northern part of Poland, in large part reclaimed artificially by means of dykes, pumps, channels and extensive drainage system. In shape similar to reversed triangle formed by branching of Vistula into two separate rivers, Leniwka and Nogat at its height, confined by rivers themselves, and closed by Mierzeja Wiślana at its base. It is a deforested, agricultural plain that covers 1000 square km. The Siege of Danzig took place between 1655 and 1660 when a Swedish force tried to capture this important Baltic Sea port city from the Polish-Lithuanian Commonwealth during the Second Northern War. After 5 years of fighting around Danzig (Gdańsk), the Swedish force which has made little ground surrendered. Poland is a country in Central Europe with an area of 312,679 square kilometres, and mostly temperate climate. Generally speaking, Poland is an almost unbroken plain reaching from the Baltic Sea in the north, to the Carpathian Mountains in the south. Within that plain, terrain variations run in bands east to west. The Baltic coast has two natural harbors, the larger one in the Gdańsk-Gdynia region, and a smaller one near Szczecin in the far northwest. The northeastern region, also known as the Masurian Lake District with more than 2,000 lakes, is densely wooded and sparsely populated. To the south of the lake district, and across central Poland a vast region of plains extends all the way to the Sudetes on the Czech and Slovak borders southwest, and to the Carpathians on the Czech, Slovak and Ukrainian borders southeast. The central lowlands had been formed by glacial erosion in the Pleistocene ice age. The neighboring countries are Germany to the west, the Czech Republic and Slovakia to the south, Ukraine and Belarus to the east, and Lithuania and the Russian exclave of Kaliningrad to the northeast. The Vistula Lagoon is a brackish water lagoon on the Baltic Sea roughly 56 miles (90 km) long, 6 to 15 miles wide, and up to 17 feet deep, separated from Gdańsk Bay by the Vistula Spit. It is now known as the Vistula Bay or Vistula Gulf. The modern German name, Frisches Haff, is derived from an earlier form, Friesisches Haff. Zantyr is a lost Teutonic Order castle with established commandry and town with cathedral, seat of the bishopric. In early 13th century it was located at present day Pomeranian Voivodeship, in Sztum County, in in the municipality of Sztum, south of the village Uśnice or in the region Biała Góra at the confluence of the rivers Nogat and Vistula. Here, at the southern end of the Vistula delta region, resides the Nogat River Protected Landscape Area. 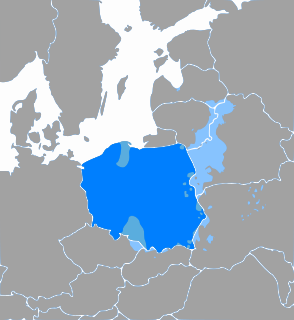 During it brief history Zantyr was contested between Swietopelk II, Duke of Pomerania, State of the Teutonic Order and Bishopric of Pomesania. At the end around year 1280 castle and town were reestablished at new location and became known as Malbork Castle. ↑ "Vistula River". pomorskie.travel. Retrieved 13 August 2018. ↑ "Top Ten Longest Rivers in Europe". www.top-ten-10.com. Retrieved 13 August 2018. ↑ D.Q. Adams, Encyclopedia of Indo-European Culture (London: Fitzroy–Dearborn, 1997), 207. ↑ Nazewnictwo geograficzne Polski. T.1: Hydronimy. 2cz. w 2 vol. ISBN 978-83-239-9607-1. ↑ Wysota, W.; Molewski, P.; Sokołowski, R.J., Robert J. (2009). "Record of the Vistula ice lobe advances in the Late Weichselian glacial sequence in north-central Poland". Quaternary International. 207 (1–2): 26–41. doi:10.1016/j.quaint.2008.12.015. 1 2 3 4 CYBERSKI, JERZY; GRZEŚ, MAREK; GUTRY-KORYCKA, MAŁGORZATA; NACHLIK, ELŻBIETA; KUNDZEWICZ, ZBIGNIEW W. (1 October 2006). "History of floods on the River Vistula". Hydrological Sciences Journal. 51 (5): 799–817. doi:10.1623/hysj.51.5.799. ↑ Zbigniew Pruszaka; Elżbieta Zawadzka (2008). "Potential Implications of Sea-Level Rise for Poland". Journal of Coastal Research. 242: 410–422. doi:10.2112/07A-0014.1. ↑ Matt McGrath (12 March 2009). "Climate scenarios 'being realised'". BBC News . Retrieved 23 October 2009. ↑ Centre, UNESCO World Heritage. "The Augustów Canal (Kanal Augustowski) - UNESCO World Heritage Centre". whc.unesco.org. Retrieved 13 August 2018. ↑ "Suwalszczyzna - Suwalki Region". www.suwalszczyzna.pl. Retrieved 13 August 2018. 1 2 Paul Havers. "The Legend of Wanda". www.kresy.co.uk. Archived from the original on 2012-02-05. Retrieved 31 March 2009. ↑ Władysław Parczewski; Jerzy Pruchnicki. "Vistula River". Encyclopædia Britannica . Retrieved 3 April 2009. ↑ Rosamond McKitterick; Timothy Reuter; David Abulafia; C. T. Allmand (1995). Vol.5, ed. The New Cambridge Medieval History: C. 1198-C. 1300. Cambridge University Press. ISBN 978-0-521-36289-4. ↑ Krzysztof Mikulski. "Dzieje dawnego Torunia" (in Polish). www.mowiawieki.pl. Archived from the original on 18 July 2011. Retrieved 3 April 2009. ↑ "Gdańsk (Poland)". Encyclopædia Britannica . Retrieved 3 April 2009. ↑ "Stephen Bathory (king of Poland)". Encyclopædia Britannica . Retrieved 3 April 2009. ↑ "Vistula River Victory". www.electronicmuseum.ca. Archived from the original on 4 March 2016. Retrieved 3 April 2009. 1 2 Marek Jan Chodakiewicz (1978). Between Nazis and Soviets: Occupation Politics in Poland, 1939–1947. Lexington Books. ISBN 978-0-7391-0484-2. Wikimedia Commons has media related to Vistula .